An early look at the next version of Android for testing, development, and feedback. Get your apps ready for Android O! We made design which is an art optimized to meet the objectives. Miracle Technology is unlocking the innate compassion of innovation. we provide project management advice that creates long -term asset value consulting services for IT projects. Protection technology with software and device. Track your vehicle anywhere any time along with advanced features. By making education system smart We want the students to study in the state of the art technologically smart environment alongwith complete security. 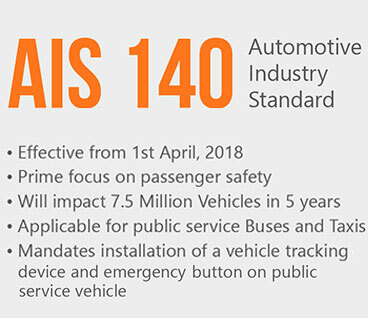 MIRACLE ITES PVT LTD Presents AIS140 Certified Vehicle Tracking and Monitoring SystemICAT Certified Compact Ultra high end Vehicle tracking/Fleet management black box with rugged IP67 casing. AIS-140 certified tracker is an advanced GSM and GNSS terminal which can be used in tracking, I/O applications, serial data and real-time tracking with various MIS Reports. It can be used as a fleet management device in various domains such as logistic, taxi operation, rent a car, security tracking, insurance telemetric and asset tracking etc. It has internal antennae that make it suitable for hidden/stealth installations. Its compact size enables easy handling and easy installation. This tracker is certified with AIS-140 regulation standard which is published by ARAI, set up by Ministry of Road transport and Highways, Govt of India.